Buying old methane cars: What should we watch out for? Since the Diesel Crisis, there has been a talk of alternative drives again. 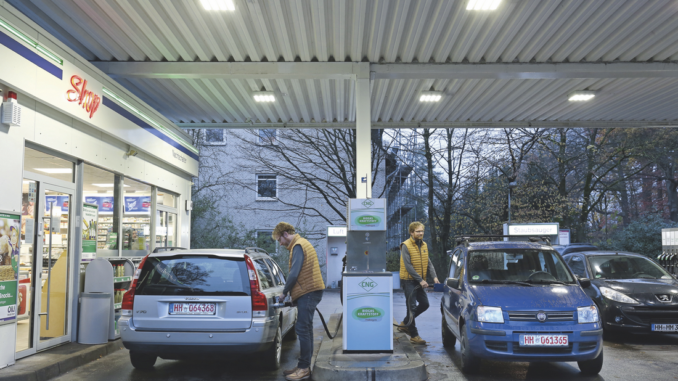 While the used electric and hybrid models are still too expensive, there is an exciting niche for the money-pinchers: the used natural gas models. At the moment, gasoline cars that are offered online seem to be of little interest, as they have many advantages. CNG (Compressed Natural Gas) provides lower emissions than comparable diesel and gasoline models because this very low carbon gas burns relatively eco-friendly. Compared to diesel models, natural gas cars dispose of about 5% lesser CO2, up to 70% less NOx and up to 99% less particulate matter. And the choice of CNG models is surprisingly high even in the price category up to 10,000 leva. From the sympathetic urban model Fiat Panda Natural Power through the 7-seat family van Opel Zafira CNG to the impressive, comfortable Volvo V70 Bi-Fuel, the range is very wide. The purely visual variants of natural gas are not different from their brothers with a gasoline or diesel engine. High-pressure gas cylinders are located behind the bottom of the vehicle, the filler necklets are discreetly hidden under the lids of the tanks. The interior remains usable, without any restrictions. Factory-fitted cars, in general, have the strengths and weaknesses of their gasoline and diesel brothers, but it is advisable to consult a gas expert before the purchase decision.